But not for long. The following day the BBC subtly and retroactively started to alter the text of stories on its website in order to remove the word “terrorist” to describe those behind the London bombings. Stalin himself could hardly have done a better rewrite job. Meanwhile, the world’s leading news agency, the Associated Press, disseminated a 9/11-style “Israel-knew-in-advance” libel about the London bombs, spawning various anti-Semitic conspiracy theories on extremist websites. 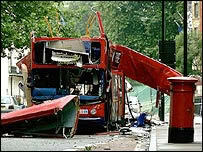 WHEN it happens on your own doorstep, in very familiar settings like the London “Tube” or on a traditional red double-decker bus, right alongside the site of a building where Charles Dickens once lived, terrorism seems very different than it does when innocent people are murdered elsewhere. 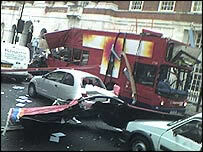 Britain’s first bus bombing took place barely half a mile from the BBC’s central London headquarters, and for a day or so after last Thursday’s multiple bomb attacks, the BBC, the influential leftist daily the Guardian, and even the British-based global news agency Reuters, all seemed to suddenly discover the words “terrorism” and “terrorist.” In Saturday’s Guardian, for example, one or other of these words appeared on each of the first eleven pages. 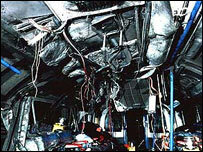 In marked contrast to BBC reports about bombs on public transport in Israel – bombs which in some cases were even worse than those in London, since some were specifically aimed at children, and most were packed with nails, screws, glass and specially-sharpened metal shards in order to maximize injuries – terms like “guerrilla,” “militant,” “activist” or “fighter” were suddenly nowhere to be seen. Nor – again in contrast to their coverage of Israel – did BBC correspondents, on either their domestic or international services, provide sympathetic accounts of the likely perpetrators, or explain to viewers that we must “understand” their “grievances”. Instead they did what an objective news organization should do: just report on the attacks, and their atrocious nature, and on the sufferings of the victims. Presumably hoping that no one would notice, the BBC subtly and retroactively altered its initial texts about the bombs on both it British and international websites. Unfortunately for the BBC, however, previous versions of its webpages remained easily accessible to all on Google, and enterprising British bloggers, long-fed up with the BBC’s bias, recorded the changes. There are other examples of similar censorship occurring at the BBC. Stalin himself could hardly have done a better job of overseeing its award-winning website. In its round-up of world reactions, BBC online was also quick to highlight the views of conspiracy theorists. 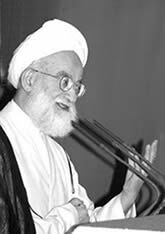 The very first article listed by the BBC started by quoting Iranian cleric Ayatollah Mohammad Emami-Kashani saying Israel was behind the London attacks, followed by a commentary on Iranian state radio explicitly blaming the Mossad. With its unprecedented worldwide news reach (its radio service alone, broadcasting in 43 languages, attracts over 150 million listeners), BBC coverage is important in formulating worldwide public opinion. But even more influential – and in respect to the London terror attacks, far more irresponsible – was the Associated Press (AP). The AP played into the hands of anti-Semites by irresponsibly running a bogus “Israel advance warning” story on its international newswire shortly after the London attacks. Although the story has since been retracted by the AP, the damage has been done. As was the case after 9/11, a thousand “Israel knew”-style conspiracy theories have already been spawned on extreme rightist and leftist websites worldwide. The AP story headlined “Netanyahu Changed Plans Due to Warning,” written by Amy Teibel of the AP Jerusalem bureau, and alleging that Benjamin Netanyahu, who was in London for an economic conference, was tipped off “minutes before Thursday’s explosions,” was put out by the AP on their worldwide news wires at 11.14 am GMT (7.14 am EST) on Thursday. Fox News ran the AP story on air at 7:50 am New York time. AP’s story also appeared on the websites of over 100 credible news outlets in the US, Canada, Ireland, India and elsewhere. More disturbingly it appeared on Al Jazeera and other Middle East media. How could any serious editor or reporter not see that this was “black propaganda” and a replay of the post-9/11 libels? And how could the AP Jerusalem Bureau Chief not have checked before running it? But despite the various shortcomings in the coverage of the London bombs, there was also much resolute and sensible commentary, not just from the right and center but from some on the left too. While the usual suspects, such as the notorious Robert Fisk of the Independent (who was singled out as a journalist one could admire in Osama bin Laden’s video message last October), immediately blamed Tony Blair and George Bush for bringing the bombs upon London, most commentators saw the atrocities for what they were.